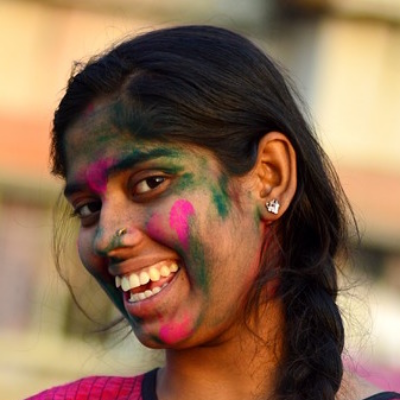 Painting is one of the most common art form. 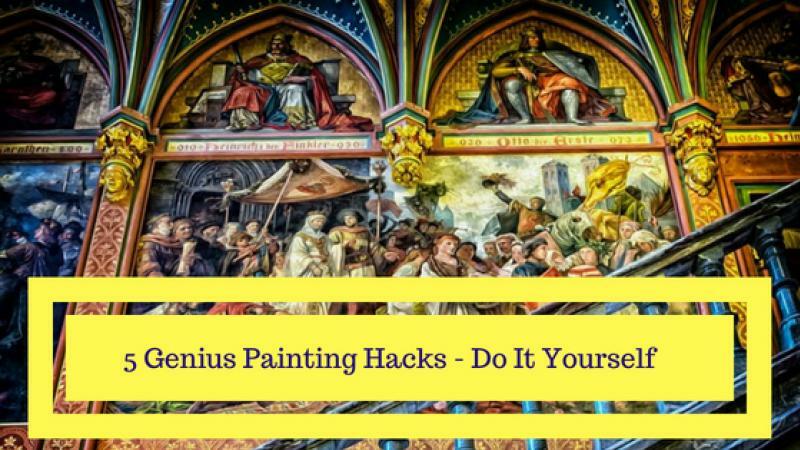 If you are a budding artist and want to make amazing paintings, the following DIY Painting Hacks will make you a smarter artist. There are many tools available, and using them smartly will make you a better painter. These tools include paint brushes, colors in various forms such as water colors, pastels, acrylic colors, oil colors and various instruments, such color palettes, etc. If you are just starting to paint, the best way to start is on non white canvases as it give a balance of creativity to new artists that help to make fewer mistakes and perfect their grip on the art. It also helps to fine tune color and texture judgements which can lead to mistakes if starting on white canvases. A painting is viewed by your prospective buyers and collectors from different perspectives, angles and in different light settings. Painting from one vantage point will hamper your judgement and issues that may be lurking in plain sight. Hence taking stock of your painting from time to time during the process from different perspectives, angles and lighting will make your creation more distinct. Using grids to outline your reference and sketching a proportional grid on the canvas will help you match each and every respective proportion of your painting to your reference. This will help you to understand the nuances of the structure of a painting which will help to build a cohesive painting as a whole. Hot water to clean your paint brushes are enough if you are using water colors and almost immediately rinsing them in water. Period. But it will not help in cleaning paint brushes that are used for painting with poster paints, acrylic paints, oil paints or any other non water based paints. If the paint in the brushes is still wet, you can use hot vinegar for cleaning them. You just need to soak them in hot vinegar for 3 minutes and let them air dry. This will kill of the smell of the paint as well. As your body needs regular spa and massage treatments, so do your brushes. It is a good idea to give your brushes some TLC, whether you use them actively or not. Fabric softeners are the best solutions for giving a bath to your brushes from time to time. This restores their softness and pliability which stops them from becoming brittle and breaking off. This saves a lot of money. If you have only old brushes to work with on new projects this painting hack will save you money. Do not worry and don’t spend on new brushes. Instead, bring them back to life with hair gels. Hair gels can be used to coat frayed bristles to mend their natural shape, tips and structure. Wash them with water and soak them in fabric softeners; this will make them as good as the new brushes. Metallic Colors: Add some silver metallic acrylic paint to simple acrylic colors to create metallic hues. More silver paint in the color means more shimmer.Darker Color Shades - Using black as an agent to darken a color makes it muddy. Instead add a little brown or dark blue color which will make it look natural and vibrant dark shade. Vibrant Blues: If you are wishing to add a deeper and darker shade of blue in your artwork, do not use black. Instead add a little red and it will give you your desired blue. Muted Color Shades: Muted colors are not bright colors. To achieve such neutral shades, mix primary color to its complementary color. I hope these painting tips will help you painters to pursue your career as an artist. There are many online art galleries and online art studios which help artists sell their fine art paintings, modern art paintings, abstract paintings, contemporary paintings to art buyers and art collectors. If you an emerging painter or fine art artist and want to monetize your creativity to earn and make a fulfilling career; ShowFlipper, the online art shop provides you a platform to show and sell your artwork to art buyers and art collectors from around the world. If you are an art buyer or an art collector, you can buy original fine art paintings online from genuine artists and painters. As an artist, the most concerning thing for you would be to sell your art.